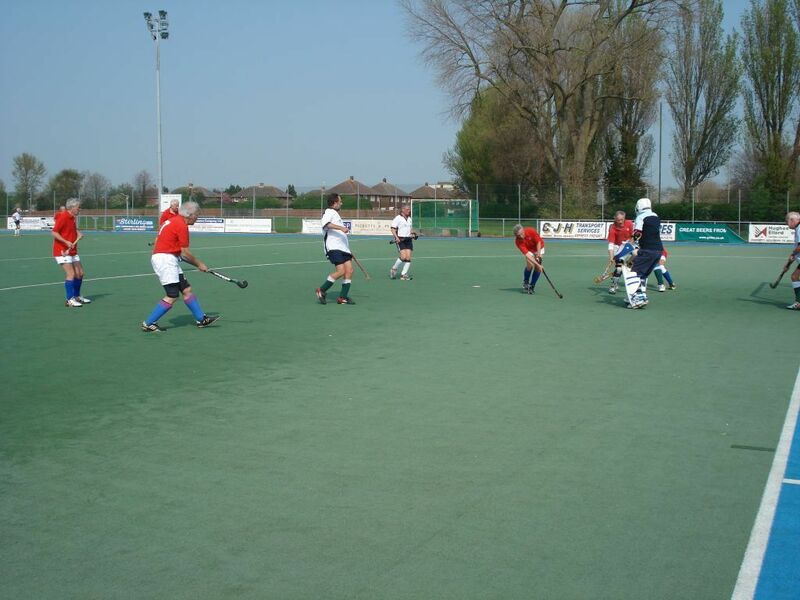 On a warm sunny afternoon, the LX team started brightly and played good hockey to put pressure on the Havant midfield. With David Wright, Robin Mayes and Alan Jackson combining well to give scoring chances. At times a desperate Havant defence prevented the LX from opening their account. Austyn Leaverland, making a return after a long layoff, and Adrian Money created openings down the left wing. However it was a cross from the right when Adrian Money put the LX ahead from a good position by the left hand post. LX continued to press forward but were unable the increase their lead. John Davey (playing for Havant) harassed the LX defence, but he and his team made few inroads into the visitors circle. However towards the end of the first half Havant were awarded 4 short corners which were all cleared by Tim Pollard, John Longden and David Read. After the interval, LX again continued to take the game forward down both wings. The team put together numerous passing movements, but were thwarted by a resolute defence. With about 15 minutes to go, the LX increased their lead, when a through ball in to the circle found Adrian Money who took very little time in shooting passed an on coming keeper. In the last 10 minutes the LX began to tire and Havant reduced the arrears when the defence was caught in possession on the LX 25. Just prior to the end David Brampton had a couple of good runs at the Havant back line in an effort to restore the 2 goal advantage. Our thanks go to Andy Barnes and Colin Herbert for umpiring the match which was enjoyed by all. Special thanks go to John Davey for organising the Havant team and to Mary for, once again her excellent tasty pie (including 2 pints of Guinness). LX Team: Tim Pollard, Robin Mayes, David Read, David Wright, Adrian Money, John Longden, Austyn Leaverland, Keith Hunt, David Brampton, Alan Jackson, Peter Ross, John Widgery.